Mr. Shaw has every reason to be spiteful and angry with his situation, but he and his wife, are some of the most positive and grateful people anyone would wish to cross paths. The couple resides on a ranchette in the Texas Hill Country, a place challenging for many people but not for resourceful and determined Mr. Shaw and his wife. Mr. Shaw feeds his livestock and maintains the property in the same uniform fashion and standard he was accustomed to during his time in the service. 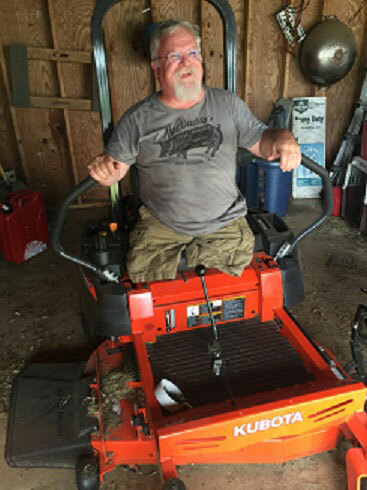 Being a resourceful person who doesn’t let challenges get in his way, Mr. Shaw modified his Kubota Zero Turn Tractor by removing the foot controls and replacing them with a joystick similar to that used by fighter pilots. 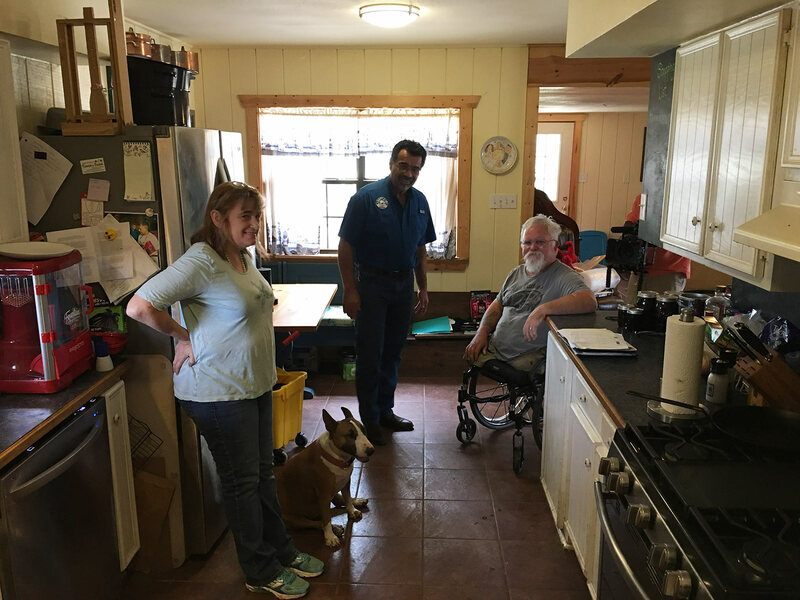 Adapt A Vet is currently working with Mr. Shaw and his wife to design spaces that take into account their personal lifestyle and hobbies while increasing ease of mobility for Mr. Shaw. The work that will be done includes lowering the kitchen countertops to facilitate Mr. Shaw’s love of bread making; the master bathroom will be adapted for better wheelchair access, in addition to adding ramps from the driveway and to the nearby aviary, barn and pens. Ramps and sidewalks will not only provide greater access and ease of movement on the ranchette, but also prevent Mr. Shaw’s hands getting covered with sticker burs and mud while working outside.